Pictures say a thousand words and the memories behind them last a lifetime. Most of the time I am the one behind the camera, but I’m making sure that this summer I’m in it with my daughter. She will be in Kindergarten soon, and that baby face won’t last forever. I want to make sure that we have photos of both of us together for her to show her kids when she’s grown up. One of the things that I love about this age is the fact that she still wants to sit down and read with me. These are the moments that I cherish and sneak in a few snuggles. Good thing she is all for them still. There is just something about sitting on her bed snuggled together with a good book in our hands. 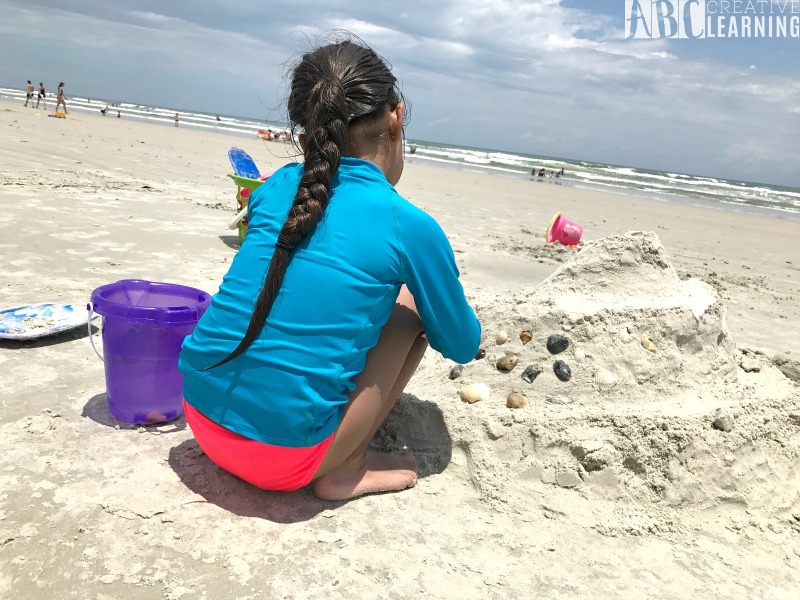 This summer my youngest has been all about bowling and spending time at the beach! Spending this one on one time together is something we won’t have again, especially with my little girl. One thing that my Cancer has taught me the last year has been to take in every moment, simply live in the today, and cherish every second spent with those you love. Believe me, you don’t want to regret not doing so later on. As I mentioned before, photos are such an important part of keeping memories alive. These first day photos will remind us of the time when our children were little and began their journey into the world on their own. One day we will compare this Kindergarten photo with a high school graduation photo, then ask where the time has gone. It’s super easy to do, and it does all the work for you. 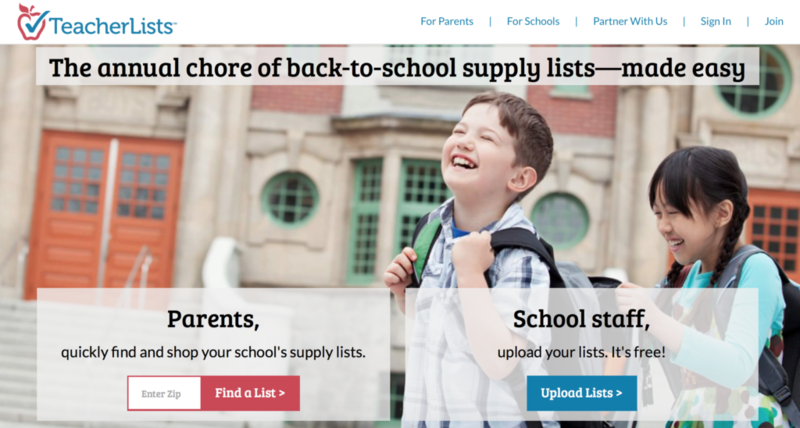 Visit TeacherLists.com, find your kids school using your zip code and your child’s supply list will appear. This is the exact list that is on your child’s school website. If your child’s list isn’t uploaded, it’s really simple to request it and you will receive an alert once it has. Plus, the website is mobile friendly so you can easily pull up your child’s list on your phone if you’re out shopping. Once your child’s school supply list is pulled up on the screen you can either print or go straight to shopping. A list of e-retailers such as Target, Walmart, and Amazon will appear on your screen. Click on your favorite store and the entire supply list is added to your cart. Add extra items you need or delete items you already purchased. Who wants to spend the last few weeks of summer shopping for school supplies? Not me! I prefer to spend my time with my girls and enjoying the last few days of summer at the beach, bowling, or enjoying a frozen treat! Seriously, let TeacherLists.com help you cherish the last few days of summer and find everything you need for back-to-school! 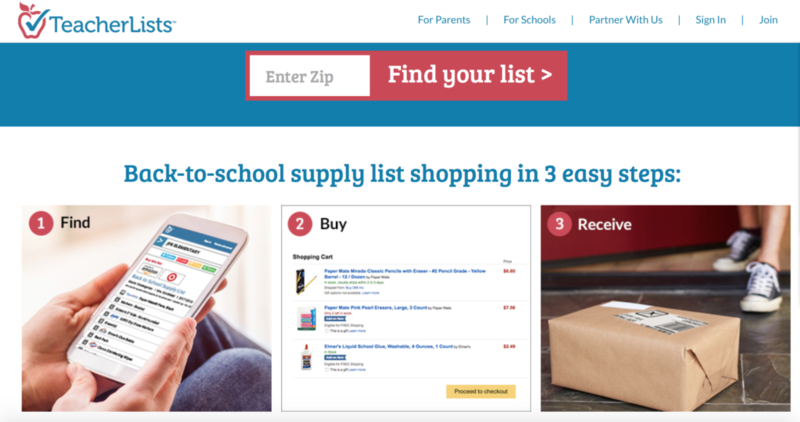 School supply shopping is just one-click away! Visit TeacherLists.com for a quick and convenient way to shop for your child’s school supplies. How will you be cherishing these last few weeks of summer with your kids? I love this! The less time you have to spend shopping for back to school, the more time you have to hang with the kids. Exactly! Especially when she’s headed to Kindergarten this year! I love this! I wish more people would do this with their children. We always try to make it a point to have a family vacation in the summer plus small little day trip somewhere also long. I have about three weeks before my kids start school again and I want to make sure we do a lot of things. Yes, I don’t want to spend the last few weeks of summer fighting the back-to-school crowds for sure! I prefer to spend it with my girls! It’s always great to get back to school shopping over and done with, and enjoy the remainder of summer. I know children dread going back to school (most of the time) but for parents it’s the best time of year. Oh, my girls can’t wait! LOL! Mainly because they will be attending a new school, so they are excited! How fabulous is this!!! Great tips and my youngest has one more year before heading to kindergarten, so I am sure I will need these! Yes, it seriously has taken the stress from shopping for back-to-school! I remember when my youngest was heading to Kindergarten. We tried to pack in as much as we could that summer! We are planning a few day trips before school starts. It is so important to spend time with your kids. Time goes by so fast. Before you know it they are heading off to college like my Son is. Oh, wow! That is so true! Trying to enjoy every moment with them! Enjoy the rest of the summer with your son! We have had a busy summer thus far and now will slowly crawl the last few weeks and savor any free and thrifty activities we can find. Best way to finish off the summer! Great tips! We are definitely doing our best to cherish the last few days of summer with a road trip, which will include lots of selfies! Our kids grow up so fast, milk it while you can! I agree! Enjoy your road trip! Looks like you are all making the most of this summer! I hope your daughter enjoys Kindergarten. I wish there had been a site to help with school shopping when my son was younger! Right?! Definitely spoiled this year! LOL! Back to school shopping that takes less time? YES! Cherish every moment of getting ready for those elementary school years. Before you know it, they graduate from crayons and composition notebooks to flash drives and calculators and on to iPads and bedding for the dorm room!